Fast Facts About Galaxies and Galactic Groups, Clusters and Super Clusters. Including how many stars they have and how big they get. 6) Distance of Visible Galaxies Furthest From Us: Appx. 14 billion light years. 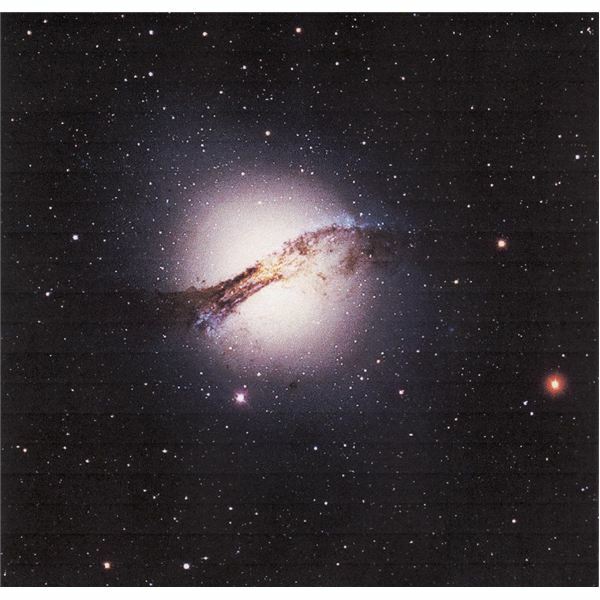 7) Size of Typical Galaxy: 3,260 light years to 326,000 light years across. 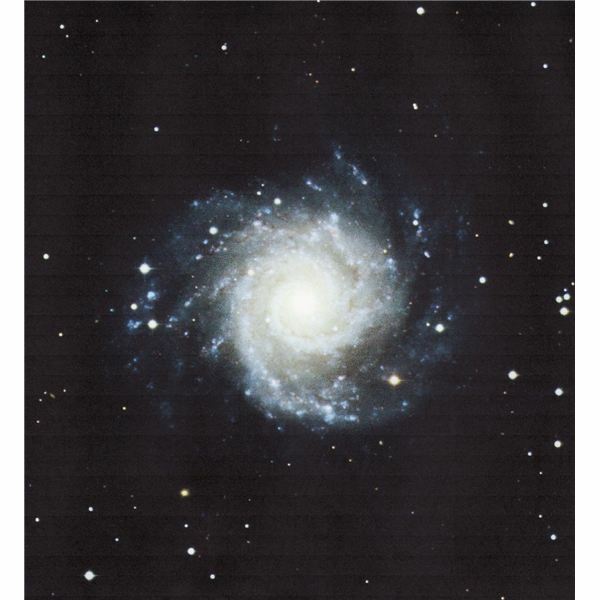 9) Number of Stars in Typical Large Galaxy (such as our Milky Way): 200 billion to 400 billion. 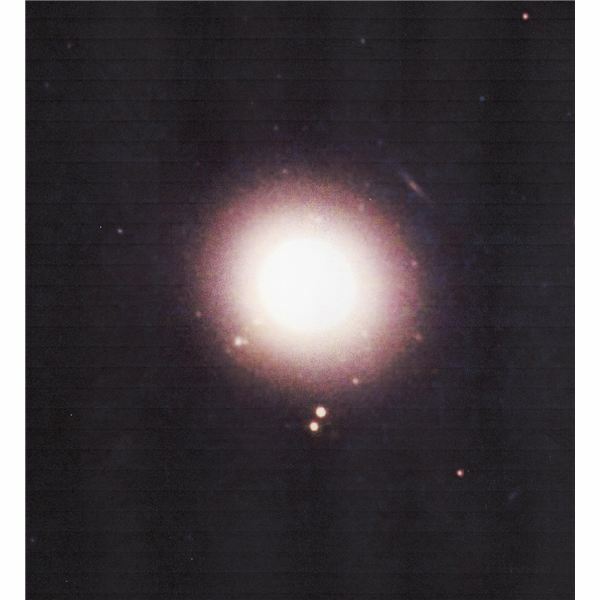 10) Number of Galaxies in Local Group: Appx: 40 (there may be dwarfs so dim we can't see them). 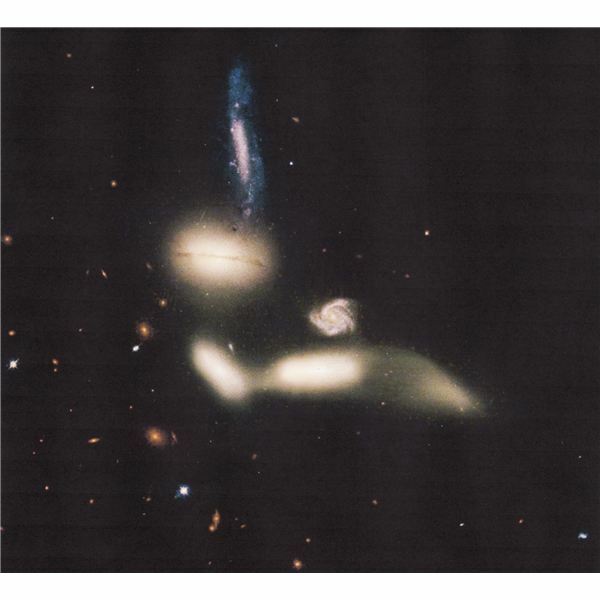 14) Fewest Number of Galaxies in Known Group: 4; Seyfert's Sextet in the constellation Serpens (in the photo it appears there are 6 galaxies, but closer study reveals that one is much farther way, and one is not a galaxy at all but a wisp of stars pulled from one of the other galaxies by gravitational forces). 1) Massive black holes may be at center of large galaxies – It appears that most, perhaps all, spiral and elliptical galaxies hide a massive black hole at their core. This was suspected for years, but the Hubble telescope has given us direct evidence that it is a fact. 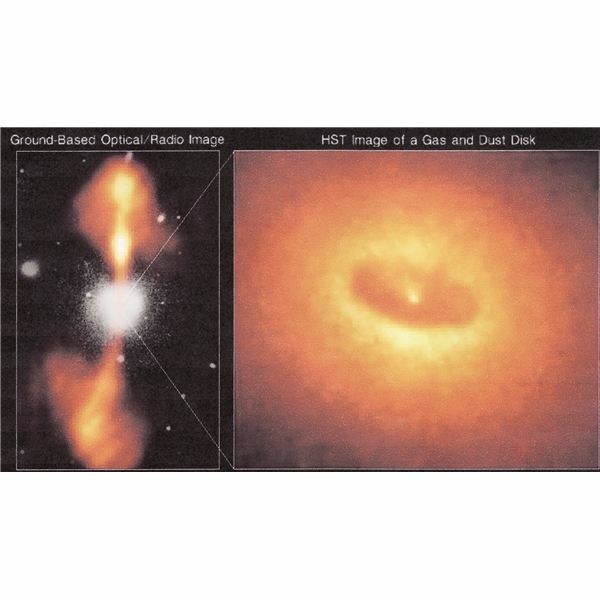 Visual, infrared and ground based radio telescope images have produced clear images of high-speed jets of electrons and gas shooting from the core of a number of galaxies. The Hubble also has shown that the core of these galaxies are rotating at extremely high rates. That could be caused only by a massive gravitational field—far greater than that of the stars in the core of the galaxy. Recent findings show that virtually all galaxies have a supermassive black hole at their center—some perhaps more than one. Even more recent developments suggest it may not have been black holes that caused galaxies to form, but dark matter. In fact, dark matter may have formed the central black hole. Our Milky Way contains such a black hole at its core. Our neighbor Andromeda may contain two, as it appears to have two distinct cores. 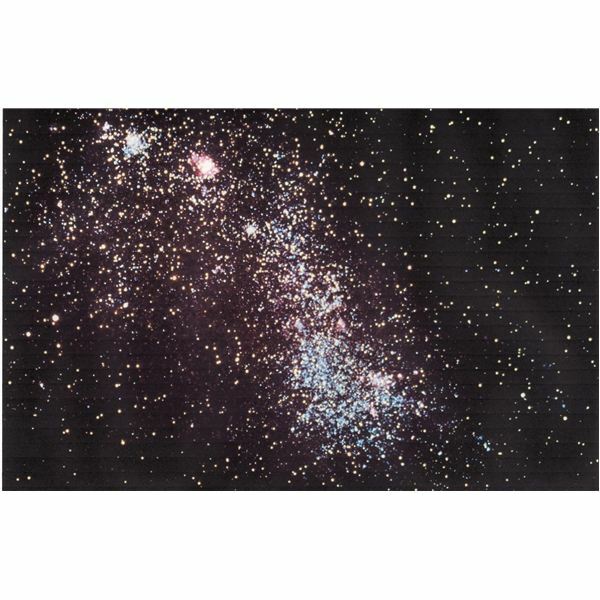 2) Galaxies like company – Galaxies invariably form groups, and groups form clusters, and clusters form superclusters. Gravity is at the core of this tendency. 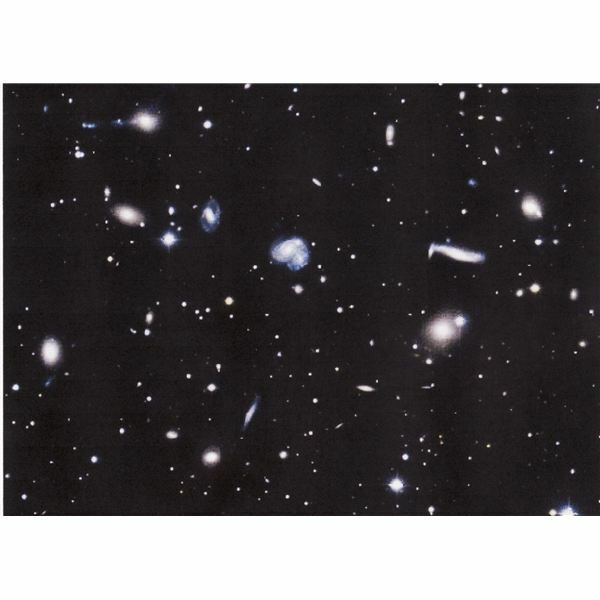 When a large galaxy forms, its massive gravitational field captures smaller galaxies that have formed in its vicinity. These smaller galaxies often actually become satellites of the large galaxy. Our Milky Way has several small satellite galaxies that orbit around us. Sometimes two galaxies get so close they collide. Then our local group, which includes Andromeda (our group is fairly unusual in having two large galaxies), has a gravitational connection with several other groups that together form the Virgo Cluster, so-called because they all appear in the constellation Virgo. Then the Virgo Cluster teams up with two other clusters to form the Virgo Super Cluster, a collection of 100 groups of gravitationally attached galaxies approximately 200 light years across.